A wealth of info this past month. For easier reading, you may wish to go to the pdf version of this article. Early December – Kuching. At a function, the Director of the Sarawak Museum Department touched on the new Sarawak Museum campus project. He said that the RM 300 million State funded project, to be completed in 2020, will highlight the State’s cultural diversity; piling work was about to start end of 2015 or early 2016. He also announced that under the 11th Malaysia Plan (2016-2020) the Museum Department has been granted some RM25 million to conserve, develop and build up museums in old forts, citing Fort Lili in Betong, Fort Emma in Kanowit, Fort Sylvia in Kapit, Fort Hose in Marudi and Fort Brooke in Meluan. He added that the Brooke Gallery at the recently rehabilitated Fort Margherita (Kuching) would be ready by April 2016. – Source : “Sarawak Museum aims to be centre for heritage” Borneo Post, 5 Dec. 2015. 1 December – Kuching. 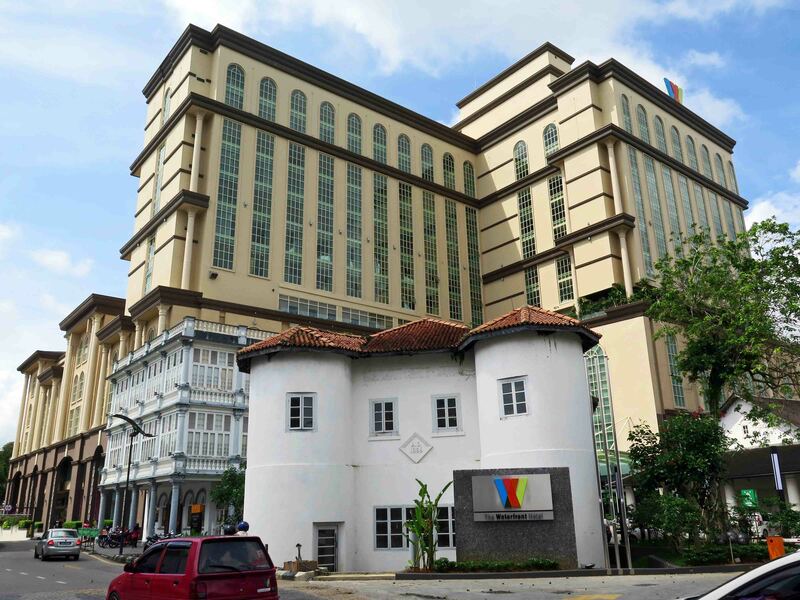 SHS issued a Press Release entitled “Waterfront Hotel is too much” to express concerns over the placing of a signage for the hotel right in front of the historic Round Tower building and over the road leading to the hotel lobby which de facto restricts access to the pedestrian corridor linking Carpenter street to India Street through the Japanese building. It also recalled that the massive Merdeka Plaza/Waterfront Hotel complex expands right up to the back wall of the Old Court House. More generally the press release highlighted the continuous shrinking of Sarawak’s heritage assets over the years as a result of weak policy to protect heritage and commercial interests. [See our article of 1 Dec. 2015]. Media coverage: “Need to treasure heritage“, The Star Online, 02 Dec. 2015; “Society cries foul over building of new Waterfront Hotel“, Borneo Post, 02 Dec, 2015; “Are we proud of our country’s historical heritage?“, theantdaily, 09 Dec. 2015. Front: Round Tower and Pavilion Building. Back: shopping centre and hotel complex, Kuching. Hotel signage in front of the Round Tower, which is itself partly encircled by the access road to the hotel. 30 Dec. 2015 photo. Access road to the Waterfront hotel lobby (lobby is located to the left of the photo). Old Court house on the right and left of the photo. In the back, the “Japanese building”. 30 Dec. 2015 photo. 15 December – Kuching. A post on the Sarawak Heritage Society Facebook expressed concern over the hanging of a large advertisement banner for staff recruitment at the main entrance of the Old Court House. The banner was then removed. It is understood that the management of the Old Court House has been contracted out to become ‘China House at the Old Court House’, operated by the business interests which run the reputable and heritage conservation-minded China House in Penang, after refurbishment. The banner mentioned “Cafe, Restaurant, Art gallery, Retail, Functions and Live music” facilities. China House announcements mention that the complex is to open in January 2016. India Street (entrance from the Open Market side). 30 Dec 2015 photo. December – Sungai Petani, Kedah. – At a recent Indonesia-Malaysia-Thailand Growth Triangle* archaeology workshop, the Director of Universiti Sains Malaysia (USM) Centre for Global Archaeological Research called for the Sungai Batu archaeological site, Kedah, to be turned into a living cultural gallery. Excavations carried in the last five years revealed valuable remains of an ancient civilization dating back to over 2000 years, including a iron smelting industry, buildings, wrecks of ancient ships (likely signaling a very old iron export activity) and a circle-shaped monument “probably used for worship dating back to 110 AD or 1,900 years ago”. – Some see these finds as so significant that they will lead to a rewriting of South East Asia’s ancient history. 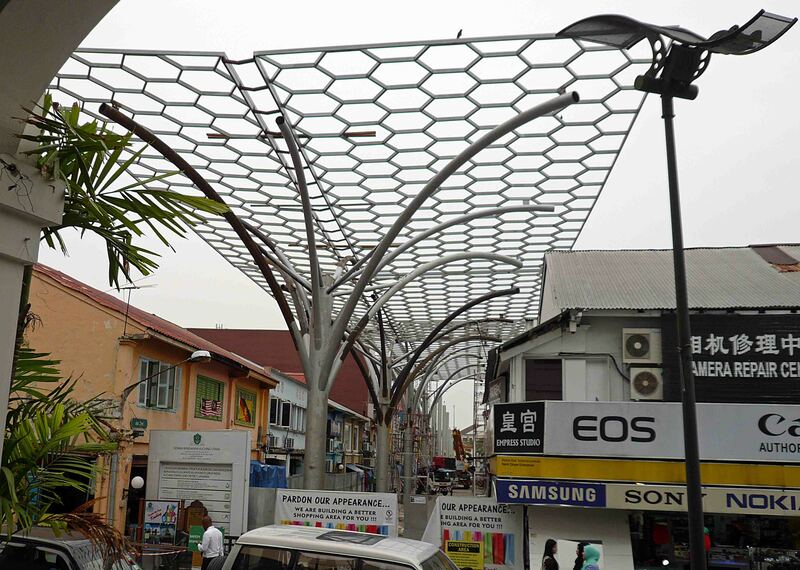 The site is located some 20km of Sungai Petani town, itself some 35km north of Butterworth, Penang. The academic also advocated for an archaeological Museums to be built at the Guar Kepah prehistoric site in Seberang Prai, Penang. Sources: “Reliving ancient times“, The Star Online, 2 Dec. 2015 and “Don: Turn prehistoric site into museum to draw tourists” The Star Online, 5 Dec. 2015. 21 and 30 December, Kuala Lumpur. On the fringes of an Annual General Meeting of the trustees of the Vivekananda Ashram, Kuala Lumpur, several NGOs gathered in front of the building to protest against the plans for real estate development on the site. A heated argument erupted between the two parties. At the AGM, the trustees confirmed that they would appeal to the Government not to gazette the land as a heritage site. 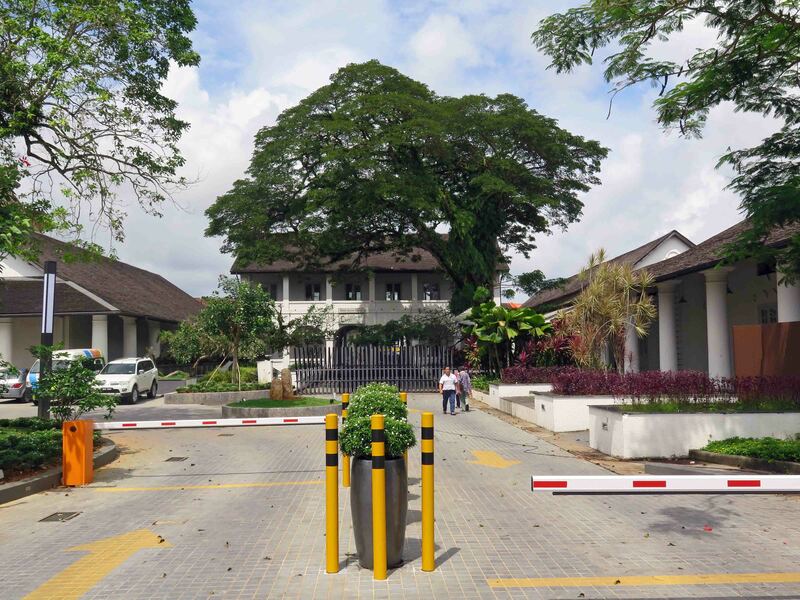 Sources: “Fate of Kuala Lumpur’s historic ashram hangs in the balance“, The Star online, 21 December 2015; “Crowds protest judicial review of Vivekananda Ashram“, Free Malaysia Today, 31 Dec. 2015. 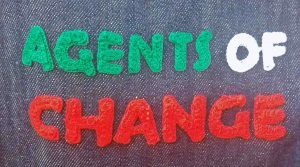 [See also our article of 7 Dec. 2015]. 30 December, Kuala Lumpur. 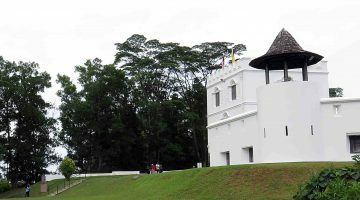 – The Star reported on three Negri Sembilan items added to the National Heritage Registry: The Seri Menanti old palace, now a royal museum, gazetted in 2009; Takhta Rencana is a throne in Seri Menanti; Pengkalan Kempas is an ancient megalith, dated from the 15th century, in Port Dickson. The latter two were added in 2015. The Negri Sembilan Government also looks at having another site , the Gua Pelangi prehistoric cave, gazetted as historical site. In a related article, The Malaysian Insider reported on the study by the the Negri Sembilan Museum of traditional houses, colonial buildings, heritage mosques, historical sites, mausoleums and megalithic stones with a view to nominate additional heritage listings. The Director of the Museum called on the public having information on monuments and heritage sites in their area to contact the Museum. Sources: “Gua Pelangi to be gazetted“, The Star Online, 25 Dec. 2015; “Seri Menanti Old Palace, Takhta Rencana and Pengkalan Kempas listed as national heritage“, The Star Online, 31 Dec. 2015; “Negri Sembilan Museums Board keeps tabs on heritage sites, monuments“, The Malaysian Insider, 27 Dec. 2015. 30 November. The issue of traditional traders and families evicted from their ancestral rented homes in the George Town heritage zone was addressed by the Chief Minister of Penang at a press conference held in relation to an International Symposium on Intangible Cultural Heritage (ICH) that took place in George Town. The eviction problem has been spurred by the raise in value of built heritage and the development of heritage tourism, in the context of a liberalized rental market. 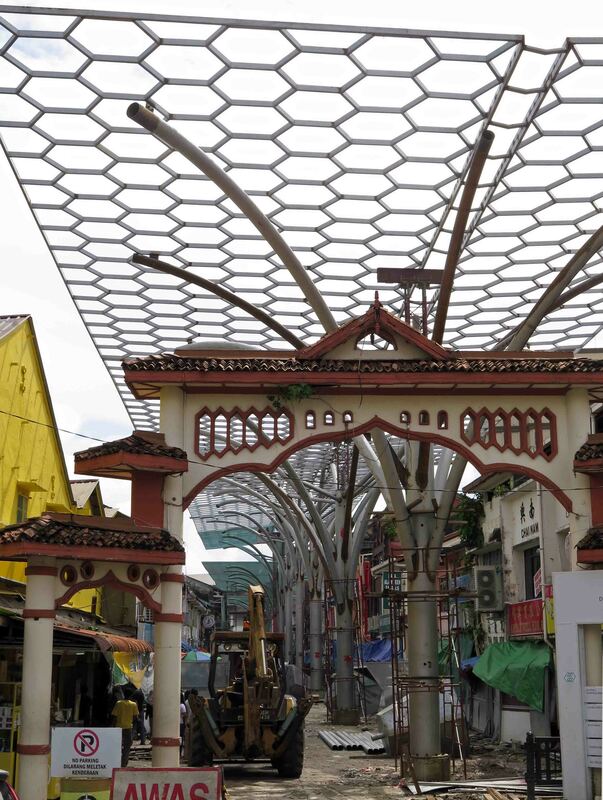 To address the issue, the Chief Minister recalled the pilot project to restore six run down double-story “category 2” shophouses belonging to the Penang Municipal Council (MPPP) in Kimberley Street, at the heritage buffer zone, to rent them out at reasonable rates to traditional traders. The restoration is expected to start in 2016. The project is a collaboration with George Town World Heritage Incorporated (GTWHI), Think City Sdn Bhd and the NGO Penang Heritage Trust. Source: “Penang says can’t stop eviction of tenants from heritage zone, offers alternative sites instead” – Malay Mail online, 30 Nov. 2015. 11 December. -“The 175-year-old tomb of Dato Koyah that symbolises the early settlement of the Indian Muslim community in Penang will undergo a massive RM1.2 million restoration exercise after years of exposure damage” reported the Malay Mail. Dato Koyah, an Indian from the Malabar Coast, immigrated to Penang in the early 19th Century. He became a respected teacher and local spiritual leader. Source: “Penang to restore 175-year-old tomb of Dato Koyah for RM1.2m” – Malay Mail online, 11 Dec. 2015. 18 December. Free Malaysia Today reported on questions raised over the delay in gazetting Penang’s Special Area Plans, which are understood to have been finalized over 2 years ago. The gazetting is required to strengthen heritage management. Source: “Why is SAP blueprint still not gazetted after 2 years?“, Free Malaysia Today, 18 Dec. 2015. [On the SAPs, see our article of 02 June 2015]. 26 December. – The Los Angeles Times picks Penang as one of 16 “must see” destinations in 2016. “As many as 10 new hotels may open in 2016, and a bevy of cruise lines call at the port. With luck, this growth will leave intact the city’s most historic architecture and encourage its lively food scene” states the article. Source: “Looking for a 2016 vacation? Here are 16 must-see destinations” LA Times, 26 December 2015. The following day the Malaysian newspaper The Star published an article entitled: “Penang traders and hotels happy with tourist invasion“, with a photo of a long queue at the Penang hill tram. Previous post Enforcement issues in George Town heritage management?